That Shop On The Corner - a Memory of Ashington. 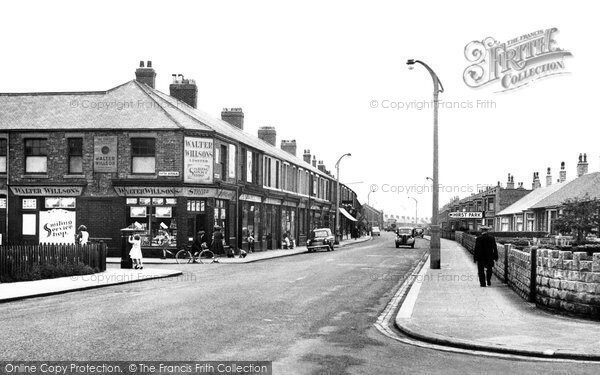 I lived at either 159 or 259 Milburn Rd so remember as child going to that corner shop, being about 5 yrs of age, watching as mum bought cheese and butter - they cut big slabs from whole rounds and wrappped it in paper. I also remember Raffies icecream shop which was opposite our house - he sold slabs of icecream and dad's favourite, licorice. We lived in the sandstone house on the corner, mum and dad were buying them, we lived in the bottom flat and rented the top one. I live in Leura, Australia now. A memory shared by Valerie Dukes on Mar 29th, 2013. Send Valerie Dukes a message. Valerie, I think you may have lived at 159 as we lived at 177 which was nearer to the Co-op. My sister lived at 285 for a while which was almost at the White Elephant , and you'd have to pass the Co-op to get to Walter Willson.